from small stalls where freshness and quality are key. Shops value their reputations very highly. This was the same dedication of our founders when they opened the first Sarku Japan in 1987.
everyone wanted to try our fresh take on Japanese food. We were more than happy to share. Now there are over 250 Sarku Japan restaurants in over 34 states, Puerto Rico and South America. We are the largest and most successful Japanese Quick Service Restaurant in America. And with good reason. as it has always been: To share the fresh ways of traditional Japanese cooking with the rest of the world. That’s exactly what you’ll find at every one of our locations: Meals cooked-to-order right in front of you. Fresh flavors. No added MSG. Quick, friendly service. We’re always striving to improve our quality and surprise you with meal choices that enliven your tastebuds. Our mall locations are perfect for grabbing a quick meal while you take a break from your shopping. 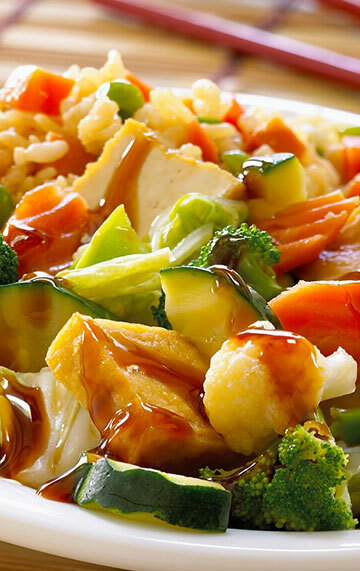 There’s plenty to enjoy on the menu, but be sure to try our signature teriyaki chicken, beef and shrimp. Always delicious and always made without trans fats or added MSG. In many of our mall locations, you’ll find our sushi bar kiosks that serve up a convenient and quick way to enjoy a real sushi bar experience. Our storefront restaurants offer an expanded menu of your favorite Japanese foods including even more of our famous teriyaki, sushi, tempura and bento boxes. Grab something to go or sit down and enjoy the experience of seeing your food cooked fresh on our teppanyaki griddles. Enjoy even more delicious options at Ming Tree and Kato’s Cajun restaurants. Both are part of the Sarku Japan family of restaurants. Sarku Japan, the largest and most successful Japanese Quick Service Restaurant chain (QSR) in the United States, will take its sizzling teriyaki and made-to-order sushi from mall food courts to the streets of Northern Virginia. The brand has debuted its first Virginia Teriyaki & Sushi Express street concept in Alexandria at the Kings Crossing Shopping Plaza. The location, which is a corporate store, will be the first of three slated to open in Northern, Virginia before the end of the year. Frisby Corporation to open Sarku Japan Teriyaki and Sushi Express Restaurants in Colombia. Sarku Japan http://www.sarkujapan.com, the largest and most successful Japanese quick service restaurant chain (QSR) in the United States, continues to expand globally with a major franchise deal in South America. Sarku Japan and Frisby Corporation have entered a multi-year master license agreement to open 20 Sarku Japan Restaurants in Colombia over the next 10 years. Sarku Japan, one of the largest and most successful Japanese Quick Service (QSR) chains in the United States, is taking its sizzling Teriyaki and made-to-order sushi from mall food courts to the streets as it launches a new store-front concept. Have a new location for a Sarku Japan restaurant? If your property meets the following criteria, we would be glad to discuss options with you. Please contact us at (800) 688-3858 or dvp@sarkujapan.com.